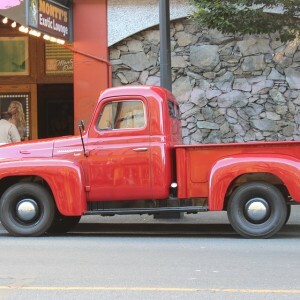 An old truck is the modern-day version of a workhorse. Owners want to maximise them for as long as possible. Trucks have a hard life. But there comes a time when the costs of repairs start mounting up and your old workhorse becomes a liability. At this point, it could be time to scrap a truck! Major mechanical problems take longer to repair meaning that your truck can be off the road for a while. This not only results in costly repair bills but also the loss of earnings you’ll have to face while it’s out of action. Add to that the looming threat of imminent problems and it’s easy to see why an older truck will be difficult to sell. Here’s a look at some of the more common problems with older trucks and why scrapping a truck is the only viable option. Leaking oil is a common problem in older trucks. Pooling oil spillage, underneath the vehicle, is messy, slippery, dangerous and harmful to the environment. Older trucks also tend to burn away oil quickly, resulting in engine damage and expensive and frequent refilling. If you think this is becoming the case with your vehicle, it’s time to think about scrapping your truck. Rusting bodywork can be a sign of more serious corrosion of the framework. Rust on the underside can eat away at the floor of the truck, creating holes that let in water and damp and pooling in the footwells. Trucks are generally used as work vehicles so keeping the interiors in good condition is not a high priority. Ripped upholstery, staining and broken interior parts are not uncommon in older trucks, and it’s often these unsightly elements that lead to scrapping the truck. Heavy vehicles put a great deal of strain on the transmission. A truck can’t be driven if it has a faulty transmission. Repair costs are extremely high as the transmission has to be completely dismantled in order to be repaired. In this case, scrapping a truck and buying a vehicle with a working transmission might make more economical sense. Older trucks are bad for the environment. Diesel fuels contaminate the air with harmful greenhouse gases. As the battle is on to improve carbon emissions in newer vehicles, older vehicles are becoming more difficult to sell as they are considered a major contributor to air pollution. Scrapping a truck will not only help the environment by helping to reduce carbon emissions, but scrapped truck parts can be recycled, reused and the liquids refined. Scrapping a truck couldn’t be easier. Just fill in the registration details and you’ll receive a free, no-obligation quote. Payment is made directly into your bank account and cleared instantly. Your truck can then be collected that very same day. For more information on scrapping your truck, call Scrap Car Kings today or visit us online.